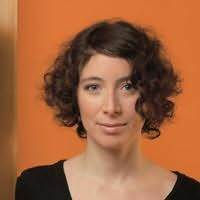 Ayelet Gundar-Goshen was born in Israel in 1982. She holds an MA in Clinical Psychology from Tel Aviv University, has been a news editor on Israel's leading newspaper and has worked for the Israeli civil rights movement. Her film scripts have won prizes at international festivals, including the Berlin Today Award and the New York City Short Film Festival Award. One Night, Markovitch, her first novel, won the Sapir Prize for best debut.